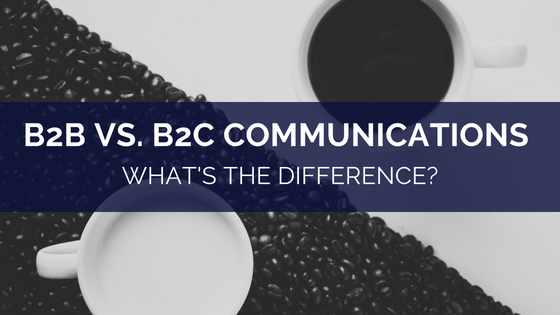 B2B vs. B2C Communications – What’s the Difference? Befuddled by business categories? We don’t blame you. PR often gets accused of bandying around jargon which is mystifying to those outside communications and often not clearly understood by those within it. Business to business and business to consumer communications companies are a case in point. Whilst professionals generally understand what B2B and B2C companies are, they are often less clear on how and where their operations cross over and diverge. ions in the way in which buying choices are made, including marketing via social media, has introduced elements of emotional decision-making. This type of communications does what it says on the tin – businesses sell to consumers. Unlike businesses, consumers typically make smaller purchases with shorter time frames – impulse buys or decisions made in a few days/weeks. As such, emotional decisions tend to be more heavily involved in the process than in the case of B2B transactions. What B2B and B2C communications have in common? The rising importance of social media in business development has been a major trend in recent years. Traditionally, it has been B2C businesses which have utilised social media as a promotional tool; total annual spend on advertisements for Facebook, Twitter, Instagram and Snapchat is predicted to overtake television commercials in the next two years as social media becomes the most efficient way to reach target audiences. However, such multi-channel tools have now become increasingly important for B2B communications as well. Indeed, B2B and B2C communications businesses now both heavily depend on social media for marketing purposes; the difference is the type of channels they use. Thus, whereas B2C businesses focus more on Facebook, Instagram and Youtube, B2B businesses tend to focus on LinkedIn and Twitter for their target market of working professionals. For example, a study by Chadwick Martin Bailey and iModerate, showed that businesses are more likely to buy from companies they track through social media with 67% of Twitter users more likely to buy from a brand they follow. Both B2B and B2C businesses need to build up a good reputation to drive business. There are a myriad of ways that this can be achieved, from good customer service to good recommendations and testimonials. Recent trends to build brand trust have included harnessing the socially and environmentally aware consciousness of millennials, who are more likely to buy from companies that can prove they have a positive social or environmental impact. In addition to this, the challenge of achieving brand trust has been made more difficult by the rising issue of fake news which has sabotaged many a customer’s confidence in a brand. Many companies, both B2B and B2C, are attempting to become increasingly transparent in their dealings and operations, in order to more easily discredit fake news stories and inspire brand trust once more. Leading on from brand trust, the importance of personalising a brand is crucial for building relationships for both B2B and B2C communications companies. Customers, both business and individual consumers, are increasingly expecting an experience which can be tailor-made to fit them, rather than a one-size-fits-all policy, which may be more cost effective to produce but lacks the relation-building aspect brands are so eager to tap into. Naturally, this particularly applies to communications companies as the creation of relationships, through personalised experiences, is central to both B2B and B2C business operations. For example, our article on how to get the most out of your PR agency details the way in which these personal relationships are built and how to maintain and strengthen them. 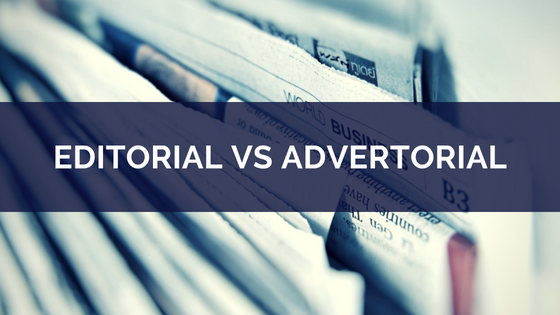 Clearly, for both B2B and B2C communications, if the content they are producing is not good quality and relevant to their target audience, they will quickly lose trust and business. Therefore, both types of companies need to do research into their buyer personas – what a typical day looks like for them, what they like and dislike, what their challenges are and so on. Only by learning about their target audience can a company create content which is relevant and will generate new leads. Of course, the buyer personas will differ between B2B and B2C companies, meaning that the buying process will also be markedly different. 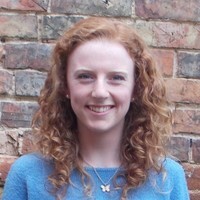 Although B2C companies do want to create a relationship with a client, this connection does not necessarily endure long-term and is generally more impersonal in nature. Nevertheless, the invention of AI and chatbots (which can answer live chat questions automatically, though a person has to be present to monitor them) may soon make these relationships seem more personal allowing as they do faster answers to queries on a (carefully programmed) personal level. By contrast, B2B companies have been much slower to utilise AI, partly because queries are often too complex for a chatbot and partly because a certain level of personal human interaction is expected by the client and is, in communications, part of the service. The need for human interaction is backed up further by the larger relative spend per customer, a generally longer time period over which a lead is converted to a customer and a bigger payoff over the lifetime of each client relationship. Another way in which B2B and B2C communications differ is in the number of decision makers there are involved in the buyer process. B2C decisions tend to be more straightforward with only one or two individuals to consider in each transaction. These individuals usually fall under one of several buyer personas the business is targeting with their offer. However, in the case of a B2B decision, there are often multiple parties involved along a lengthy chain of command with contrasting (and conflicting) priorities. The complexity of such B2B discussions can often mean it takes months to make a decision. As such, B2B communications tend to have a larger number of target audiences to consider than B2C. Just as the target markets of B2B and B2C companies differ, so too must the content they produce. In B2B communications, the customer expects a highly detailed, well thought-out content which has been created by a dedicated sales and marketing team. It can be lengthy and contain industry jargon and technical knowledge; a business has to prove it is an expert in the sector in order to attract sales. For B2C, the consumer wants a far snappier, less detailed, more humorous content (which is not necessarily easier to produce). Minimum content is particularly applicable for lower-priced B2C products when the consumer isn’t looking to develop a long-term relationship with the brand. Of course, the development of social media as a crucial marketing tool has caused an increasing amount of crossover in terms of the tone and length of the above content. Thus, whilst B2B businesses must still produce lengthy, technical content, their marketing teams must also be able to adopt a less formal, snappier tone for various social media channels in a similar style to B2C companies. What’s it like to work in B2B vs. B2C communications? If you are working in B2B communications, much of your job will be focused on building relationships with clients. These relationships are important as they tend to last long-term and, since the target pool for B2B brands is more focused, the connections forged will be stronger and more personal. Generally, jobs in B2B communications will involve promoting products and services that a company needs. As such, B2B communications choices are guided by rational decisions, meaning a clear level of expertise and technical knowledge in your company’s sector is essential to build brand trust and win new business. In addition, as a B2B communications specialist, whether you’re working in-house or for an agency, you will be expected to have an in-depth understanding of the market your client operates in. For example, if your client is a wind turbine manufacturer you will have to know what a wind turbine is made of and how the wind energy market operates, in order to be able to run successful communications campaigns. A job working in B2C communications is far more likely to be focused on transactions than strong personal relationships. Whether it’s an e-commerce business or a high-street retailer, the company wants to sell lots of products quickly and build up the largest audience base possible. Less technical market knowledge is required than in a B2B company with many of the consumer’s decisions based on want rather than need. As such, an understanding of how to persuade consumers to complete these, often impulse, purchases is essential. Ultimately, with the increasing uptake of AI and use of social media as a marketing tool, B2B and B2C communications are becoming ever more similar in their operations but retain certain distinct differences due to their respective target audience’s expectations.